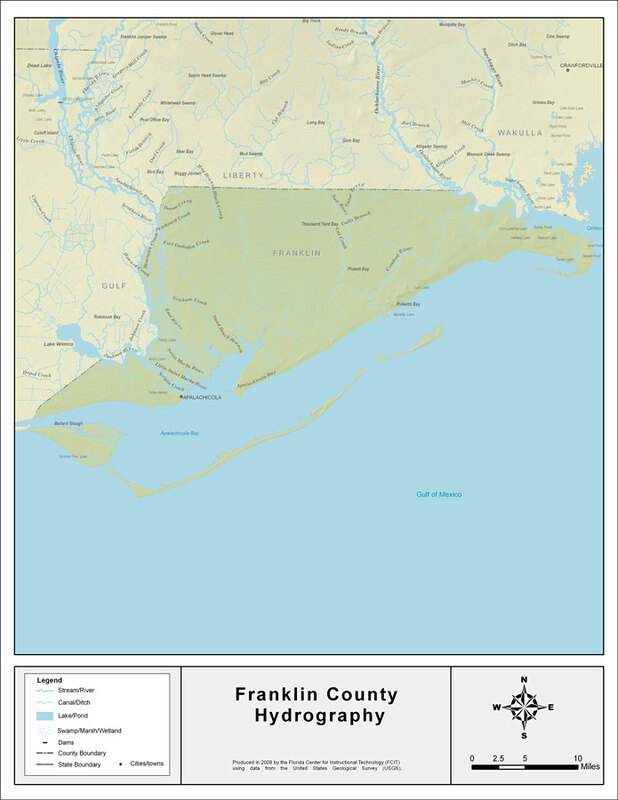 Description: This map was created by FCIT and shows the waterways of Franklin County. All major rivers, streams, creeks, lakes, and swamps are labeled. This map features the Ocklockonee River, the Crooked River, Gully Branch, the New River, Gator Creek, Cat Creek, Trout Creek, Hog Branch, Black Creek, Devon Creek, Brickyard Creek, Fort Gadsden Creek, Bearman Creek, the Brothers River, the East River, Sand Beach Branch, Graham Creek, Chipley Creek. the Jackson River, the Apalachicola River, and Pine Log Creek.